ZIG to the ZAG in our BERNI jumper dress! 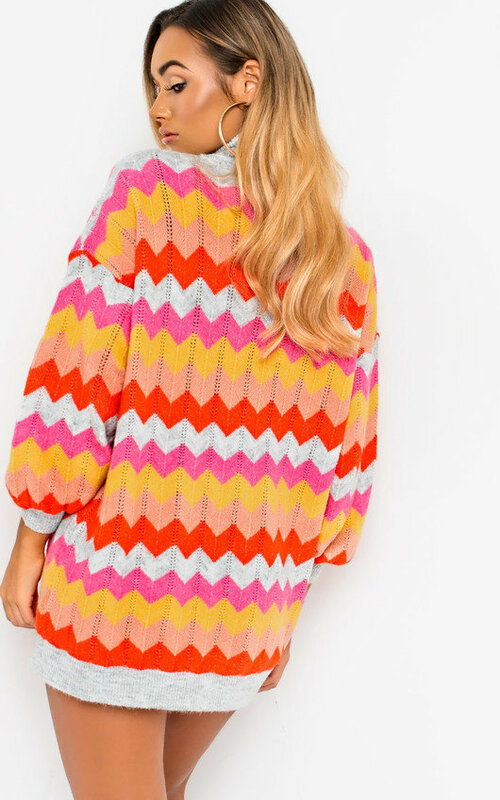 Featuring zig zag all over pattern, poloneck, knitted material and long sleeves. 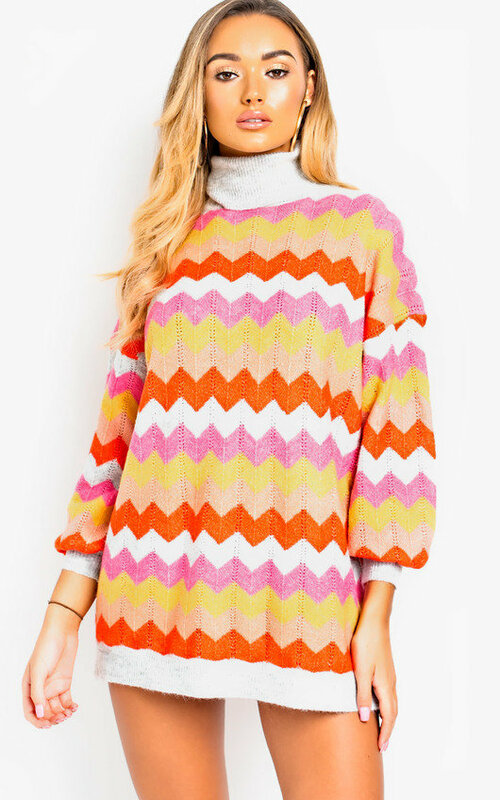 Pair this jumper dress under a faux fur waistcoat and black patent heeled boots for the ultimate cosy look!